Fort Worth, Texas. Taken around 1997 by John Cirillo. 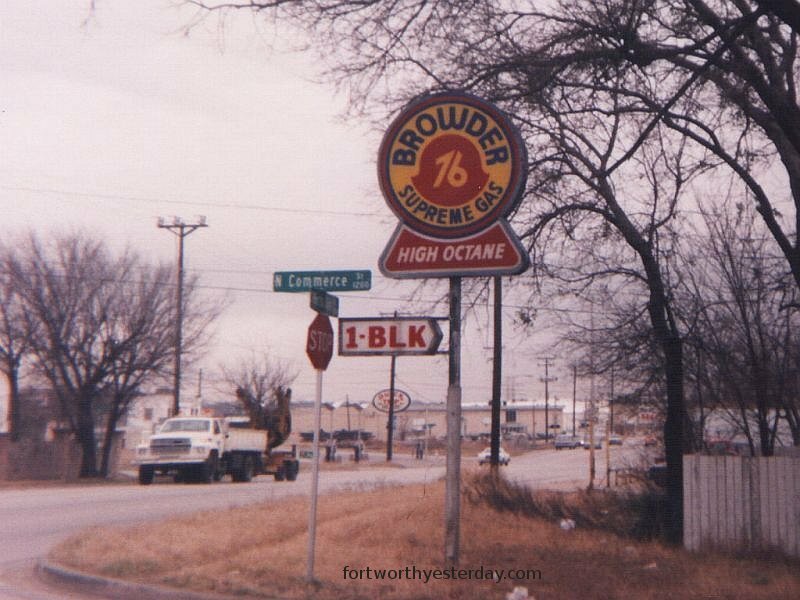 I have been informed as of 2005 that this Browder 76 sign has been removed. was previously a Good Luck station (311 E. Northside Dr.). Sad to say I missed taking that one. Notice a faded Shell sign on the building at the left. repainted white, and the Shell sign is gone. Property appears abandoned. 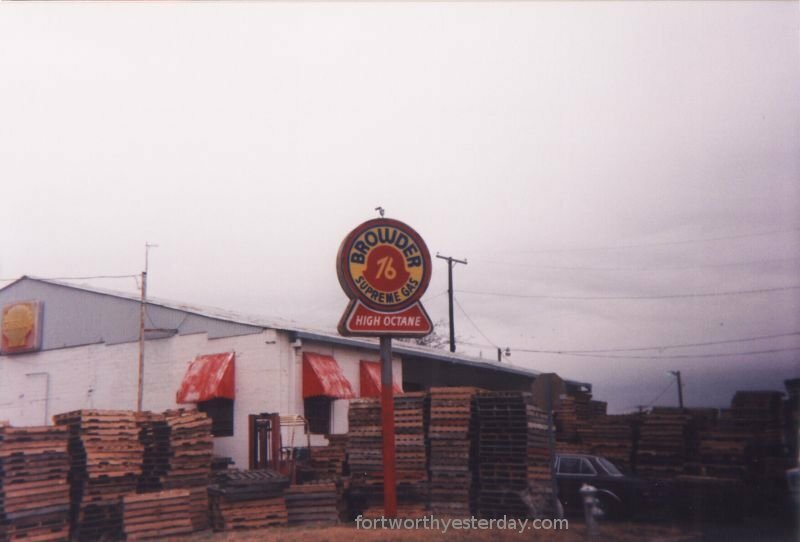 Fort Worth Texas, about two blocks east of the sign at top of this page. re-branded to Fina. And as of 2008, it is Rio Grande Motors, a used car lot. 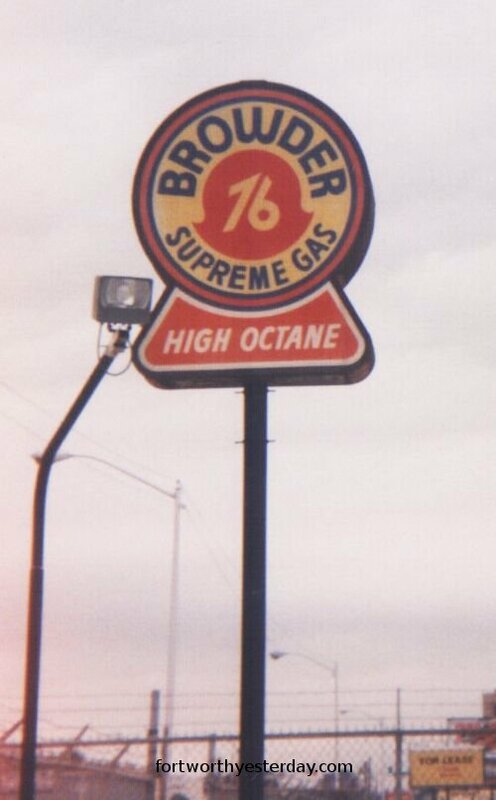 The browder sign is still there, but painted over with Rio Grande Motors.